The 2020 Model Search Application is closed. The 2020 calendar brand ambassador search has ended. We are grateful for your support, your entry donation, and your drive to make this a better world for the dogs that we all love. Please consider volunteering with us ALL YEAR LONG as this annual search is only one way to get involved. We love you and your beautiful pups! We’re looking forward to working with each and every one of you. Please do not be a stranger as our mission is one that requires ongoing dedication and we can’t do it alone. Our panel of judges spent several weeks reviewing your amazing applications. We are so grateful for the time that they devote to help us make our selections. This process is never easy and we feel an ache each time we have to finalize details. You’re all incredible people and your pups make us ooze with glee. Please don’t be discouraged if you are not chosen for this year’s calendar. This family has its arms wide open and is ready to work with you wherever you are! It is nearly impossible to take a few hundred applications and turn them into 12 photographs. We hope that you will be pleased with our selections. There are many amazing pups and ladies who made the final cut and we will be announcing them publicly from Celeste Giuliano’s Photography studio in May. Xo Little Darling & the Pinups for Pitbulls Board, Judging Panel and fur kids. Due to the high volume of applications, we regret that we are unable to respond to each applicant individually. However, one of our volunteer coordinators may reach out to you about your application responses and volunteering opportunities in your region. Please keep an eye out for messages that may come from Stacey, Nancy, or Rachel. They might end up in your spam filter, so please check there from time to time for additional volunteer opportunities in your area. The calendar application review will not be finalized until approximately April 20th, 2019. It takes us quite a while to complete the application review process. We try to make sure that all applications get the review time that they deserve. We have a panel of 10+ judges across the United States. Some have been in the calendar in the past and all of the judges are active volunteers and representatives of Pinups for Pitbulls. Many of the judges have been with us since the beginning years of Pinups for Pitbulls, Inc. If you are a finalist, you should receive a telephone call from us by April 20th, 2019. If you are not a finalist, please do not be discouraged. We need volunteers all year long, regardless of calendar modeling. Our organization exists to end canine discrimination once and for all so that we can live in safe communities with our beloved companion animals. The calendar is one small part. We encourage you to get involved with us and make a strong impression! We want to thank you for the generous donation that you have made by applying for our brand ambassador search and model call. We especially want to thank those applicants who added the Facebook fundraiser to their applications this year. The combined impact of the traditional model call fundraiser plus the Facebook fundraiser will help us to have an even greater impact this year in promoting our mission. As a registered 501(c)3 Non Profit, 100% of your donation helps us to advocate for safer, more humane laws and legislation for all dogs – regardless of breed or mix. Your donation also allows us to educate people about the human-canine bond and to advocate for individual dogs in need. 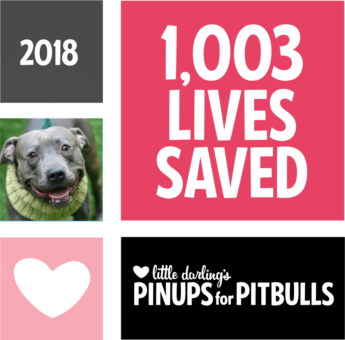 Additionally, we provide free courtesy posts for organizations worldwide and in 2018, we were able to continue helping find homes for over 1000 dogs for the fourth year in a row. Your donation allows us to offer such a magical service to rescues, shelters, individuals, and dogs in need. We are truly grateful for your support!